InsyaAllah, I wanted to share a little bit about a book I’ve read about a month ago. The title of the book is, “Letter to a Muslim student in the West”. Imam Hassan al Banna wrote it to his friend. It contains very valuable advice especially for us Muslim Youth that live here, in the West generally. InsyaAllah, I won’t write it in full, but instead, I will just focus on a few points that caught my attention and were being highlighted by Imam al Banna in the letter. >> ‘ Show the best example and the finest image’. >> ‘ Excel in your observance of Allah swt in all your dealings’. In the Quran chapter 7 verse 27, “… the Satan and his followers will see you from a place that you can’t see them….” Always be mindful in our observance of the One, or else the Satan will be able to infiltrate us and will make us a slave of our own whims and desires. >> ‘ Perform the obligatory duties which Allah has enjoined upon you’. In Quran chapter 38 verse 26, “and follow not desire that it beguile you from the way of Allah”. Try to be steadfast in our prayer and perfect our fast, after all they are our capital for the Day of Judgment.. Imagine what will happen if we wasted our capital today, where’s our position will be amongst tomorrow’s profit makers? >> ‘ Spend the extra time we have to perform supererogatory works like sunnah prayers’. Continuous remembrance of Allah is like an investment that multiplies rewards. Extra time is like harvesting season and whoever seize the opportunities and benefit from such season; simply multiply their rewards in the Hereafter. >> ‘ Increase recitation of the Glorious Quran with understanding and deliberation’. Whenever we recite Quran, don’t we feel more tranquil and calmer? Especially when we understand the meaning as well. Sometimes, when we are in the middle of hesitation and anxiety, the Quran give us reassurance of the pleasure in the Hereafter.. It is simply the best healing for our soul needs and also a comfort to the heart..
>> ‘ Careful with delights of life and pleasures of the world’. These kind of temptations will incline to our heart, impress our mind, attract the eye and bewilder whoever that have weak spirit. Avoid these worldly aspects, do not let it takes over our actions and deceive us, if we want to be among the successors in the Hereafter. TV series, cartoons, comics, manga, and etc are the examples of the worldly aspects that ‘attacking’ us nowadays. And we have to try our very best, not to be too delighted with these aspects until it makes us forget to work for our Hereafter. >> ‘ What Allah made Haram for us, those people consider it as Halal for them’. Neither agrees with these shameful acts nor mix with them in their sins. There’s no excuse for us in committing the acts of fools. >> ‘ Do not take any of them as company or develop any emotional relationship between you and them’. A quote from the letter, from Imam al Banna himself, “and in your chastity let there be content and in your dignity let there be adequacy”. We knew better that Allah has made the socializing between men and women a sinful act but yet why are we still doing it? >> ‘ Do not approach alcohol’. In this country, it is easy for us to get alcohol, anywhere, everywhere we go. Allah has made it forbidden with neither doubt nor exception. The first drink is all it needs and consequently we will then fall into a pit, difficult to escape from and will have incriminated others and ourselves. “Alcohol is the root of all evil”. >> ‘ Careful with what is Haram and what is Halal’. People already aware with what is black (haram) and what is white (halal) but they always wanted to go to the gray (syubhah) area.. Why is this happening? Allah has prohibited that which is impure but we still want to do it.. “Rules are made to be broken,” they said, but don’t we know that obeying Allah is better for us? In Quran, chapter 7 verse 157, “…He enjoins upon them what is good and forbids them what is evil…” So leave that which is bad for that which is good. >> ‘ Time is life’. Our time is far too precious to be wasted in a place like casinos or nightclubs etc. Dearest friends, be stringent with our time and do not spend it except for something significant. Seek pleasure in a lawful way because we never know when our lives going to its end. Do we want to die in kufr? Nauzubillah. >> ‘ Be critical, be just and be well acquainted with people’. Try not to be judgmental towards others, acquire as much knowledge possible of all their affairs, and analyze it with the insight eye. Use your wisdom to encounter anyone who dishonoring Prophet Muhammad saw, faulting our Quran and disgracing our ummah. Argue in the best manner and try to avoid any controversy that can lead to hatred and fitna. Opportunities to promote awareness about our religion will come in so many ways, even by showing good example around the others. Do not insult others, instead be positive and show them kindness. We can only try but Allah will decide what’s best for you, the others and me. 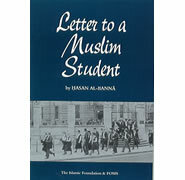 Imam al Banna was highlighting dear friends, 12 points in his letter to us, Muslim students in the West. Now it’s up to us to put it into actions, as wise advice will be valueless if not practiced. May Allah give us the strength to follow the guidance, especially me whose writing this. Berbekalkan sedikit kudrat empat kerat dan masa cuti yg panjang, saya mengambil peluang menyandang jawatan ‘summer helper’ membersihkan hall accommodation di universiti. Bukan sebarang cleaner tau. Siap kena attend taklimat dan coaching for 3days. Kemudiannya, pekerja yg tidak berpengalaman seperti saya, akan diminta pair up dgn pekerja senior, supaya dpt supervise kerja-kerja pembersihan yg dilakukan. Tapi ramai juga yg mula bekerja di pertengahan summer. Tiada coaching untuk mereka. Hasil kerja mereka…hmm wallahu’alam. Laju semacam je diorang bersihkan setiap bilik. Rasa bersalah pula setiap kali mereka dapat siapkan tugasan dgn cepat sedangkan saya baru selesai membersihkan beberapa buah bilik sahaja. Takut nnti boss ckp saya buat kerja lembab padahal saya hanya berusaha menjaga standard kebersihan yg telah diajar. Lalu saya pun tekad untuk bekerja dgn lebih cepat (tapi kurang teliti) supaya dapat menyudahkan tugasan seiring dgn pekerja-pekerja lain. 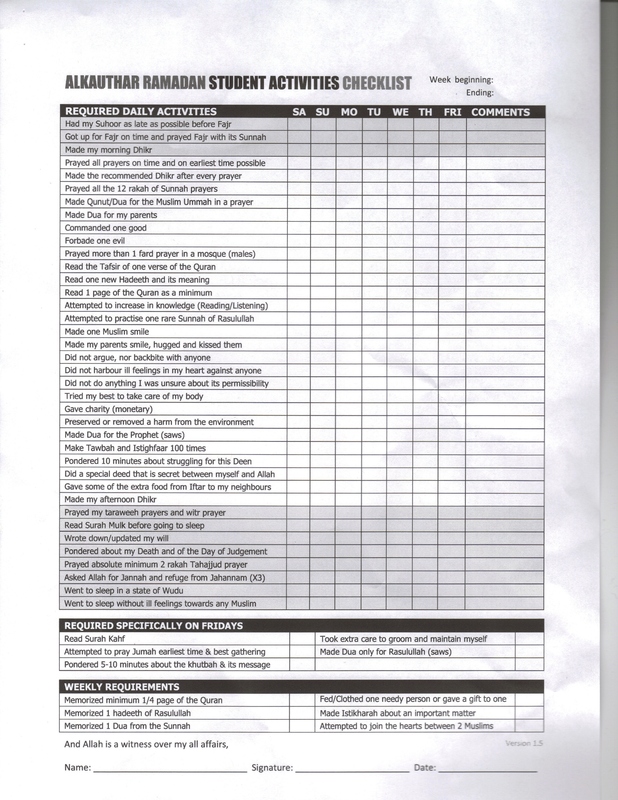 Di suatu hari, setelah menyiapkan hampir 3 buah flat daripada 6 buah flat yg ditugaskan, salah seorang pekerja datang membawakan borang “Checklist for room cleaning”. MasyaAllah punyalah detailed. Gulp. damp wipe all furniture, fixtures, fittings, ledges, edges, inside and outside drawers. leave smear free. remove stickers and blu tac from walls, doors, furniture and mirrors. vacuum carpet including the edges, under the bed, furniture and so on. thoroughly clean shower, paying attention to all grooves, stainless steel fixtures. waste outlet and door panels. leaving free from debris, soap residue and smears. thoroughly clean toilet inside and out paying attention to under toilet rim and seat. thoroughly clean hand wash basin, cleaning round taps plug and waste outlet. clean under basin including pipe work. spot clean walls and light switches. damp wipe door frames, polish where needed. make bed. use clean and matching sheets and pillow case. Siap kena sign nama sendiri pada borang checklist tersebut. Ya Allah. Macam mana ni? Kualiti hendak di jaga, tp masa yg diberi sangat terhad. 15minit je untuk setiap bilik. Ada 8 bilik setiap flat. Bayangkanlahhhh. Fuh. Akhirnya saya dan rakan sekerja berpakat untuk lebih mementingkan kualiti (ihsan dlm pekerjaan), di samping terus bersungguh-sungguh dlm menepati masa yg diperuntukkan (itqan). Bekerja di bulan Ramadhan ini, membuatkan saya terfikir. Sudahkah saya membuat checklist for my own Ramadhan supaya kualiti amalan saya dlm bln Ramadhan terjaga dan menjadi semakin baik? Bukan hanya buat checklist or so called mutabaah amal bila diminta oleh naqib usrah. Bukan untuk membuktikan kpd sesiapa bahawa dah byk amalan yg dibuat, tetapi untuk memastikan standard minimum ibadat harian telah ditunaikan dgn penuh ihsan. Another thought that come across my mind is am I aware that this might be my last Ramadhan untuk bersungguh2 dlm beribadat? Atau lebih jauh lagi, jika ini mungkin hari terakhir saya bernafas di muka bumi sebelum pergi menemuiNya dgn amalan yg tak seberapa. Am I really aware and alert of this limiting factor aka TIME / LIFE. InsyaAllah masih belum terlambat ntuk saya dan kawan-kawan semua untuk check kembali hari-hari dalam permulaan bulan Ramadhan kita. Bagaimanakah kita menjalaninya dan meraih semua peluang dan pintu-pintu pahala yg telah ditawarkan oleh Allah kpd kita. May this Ramadhan checklist helps us to be more aware of our own deeds, and to be more aware of Allah as this is why fasting is suppose to be meant. Al Baqarah: 183 – Wahai orang-orang yang beriman, Diwajibkan berpuasa ke atas kamu sebagaimana diwajibkan ke atas orang-orang yang dahulu daripada kamu, supaya kamu bertaqwa.